Rep. Jim Jordan was accused of turning a blind eye to Ohio State sexual abuse of athletes and students by during his tenure as the assistant coach of Ohio State’s wrestling team from 1986 to 1994. “It’s false. I never saw, never heard of, never was told of any kind of abuse,” “If I had been, I would’ve dealt with it.” Jordan said. Anyone can make accusations against anyone at any time, doesn’t make them true! And if this happened it should have been reported when it happened! And if they thought Jim knew and did nothing, why did they wait until now to speak up? 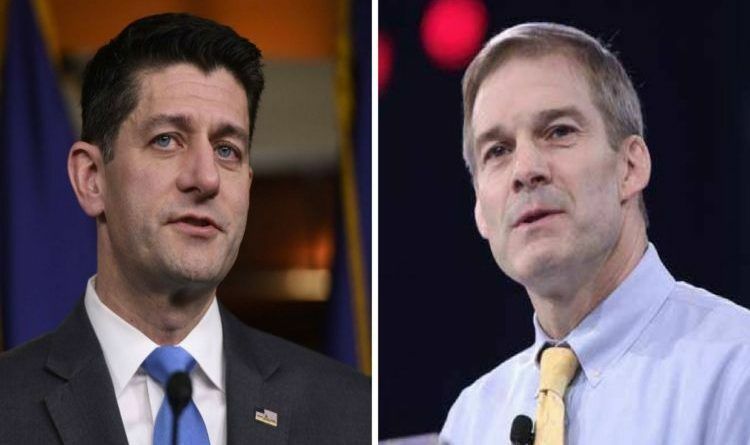 But, despite this, House Speaker Paul Ryan called the recent allegations raised against Rep. Jim Jordan, R-Ohio, “serious”. Hardly serious allegations. These are adult college age wrestlers. Sorry if I find it incredulous that these men would allow this kind of behavior from a doctor. A bunch of BS and any sane person recognizes it for what it is. Shame on Ryan for not supporting Jim. Let’s remember Paul Ryan is the top Republican to accept money contribution from George Soros. So I think the obvious is clear. Ryan has a history of turning his back on his party. After all, he did the same thing to Trump in the campaign. He doesn’t know how to do anything else. ← The Man Who Abused Texas Teen in #MAGA Hat Reveals The Truth, Admits Why He Did It!